Mother’s Day at a restaurant this year challenged me to think grace. Disciplining myself to think grace that day wasn’t easy. We waited forty-five minutes for our food. The kitchen had run out of the dishes we requested. A pool of Ranch dressing lay in front of my husband’s salad plate. And our server was in tears. It was the evening of Mother’s Day, a safe time, I thought, to eat at a restaurant. My family knows I don’t care for restaurants on Mother’s Day. Battling a crowd is not my idea of being pampered. We either go to the kind of restaurant most families wouldn’t patronize, like Chinese or Mexican, or we have a picnic in the park. This year, our picnic got scrubbed because of rain and we ate our lunch of sandwiches, baby carrots and Angel Food Cake with strawberries in our daughter’s apartment. But coming home from Iowa City, we had to get supper. I persuaded my husband to find a restaurant I had gone to twice with girlfriends. “It’s great,” I told him. I forgot that servers would be tired and restaurants might run out of food on an extra busy holiday. Our server rushed from table to table, mixing up orders, spilling food, and apologizing for unavailable items. Early on, she commented she’d been at work since 11:00 a.m. It was now 7 p.m. I asked her if there was someone at home who could rub her feet when she got home. She shook her head, commenting she had two daughters. Ah! Single mom, working on Mother’s Day to support two children at home. I got the picture. After she scurried to another table, I looked at my husband, “This is a little lady who needs grace and lots of patience,” I remarked. We determined that from that point on, we were going to think grace. No matter what happened, we would be loving, accepting and gracious. We would not complain about anything. No matter what. Our commitment was tested to the nth. The minutes stretched into nearly an hour, the coleslaw was horrible, and our little waitress became more and more haggard and distant. Each time, we tried to reassure her and laugh it off. We agreed between ourselves to give her a generous tip and with every mistake, the amount in our minds grew larger. We were bound and determined to think grace. Finally, we had to ask for the bill. She came to the cash register, wiping away tears. “I wish I could just walk out,” she said, choking back more emotion. My spirits soared. Always before, I’ve been particularly critical of servers who complain about their job to customers. Somehow, this seemed different. We had proven ourselves safe; sensing there would be no retribution, she felt the freedom to vent. I determined I would not betray that trust. It was one last chance to think grace. She spewed her frustration, her voice low enough, I only heard half of what she said. I caught that the restaurant was short staffed on Mother’s Day, requiring her to work extra hours and work both the bar and restaurant sides simultaneously. She had to leave a bar customer insistence on getting drunk to finalize our bill. “I’d wish you Happy Mother’s Day, but I don’t think it’s a happy day for you,” Jack said. She grunted. “That’s right.” The look in her eyes will always haunt me. “Thank you.” It was the first smile I’d seen from her all evening. Jack and I walked away, convinced God had led us to that restaurant, not to provide our needs but to use us to meet our server’s needs. She needed customers that day who would be kind, sensitive, and accepting of her inability to do her best work. That’s grace. Grace is looking beyond someone’s faults to meet their needs. The bigger the faults, the greater the need. Grace walks toward the offense. Grace is counter-intuitive. In our cultural economy, the greater the crime, the more distance we put between us and our offenders. Jesus asks us to walk toward the offense, engage the offender, and love them anyway, sacrificing our own desires so we can lift the burden of the one before us and stop the carnage. Was it easy to accept substandard service? No! Everything in me wanted a perfect dinner and good service. I wanted to be queen of the hour in that server’s mind. It took the haggard, haunted look in a tired server’s eyes to remind me I wasn’t the only mama on the earth and someone needed a cupful of kindness a lot more than I did. Who in your life needs a cupful of kindness? Who among your relationships is messing up big-time, not listening to what you say, forgetting what’s important to you, or running out of resources that they would normally channel to you? Let it go. 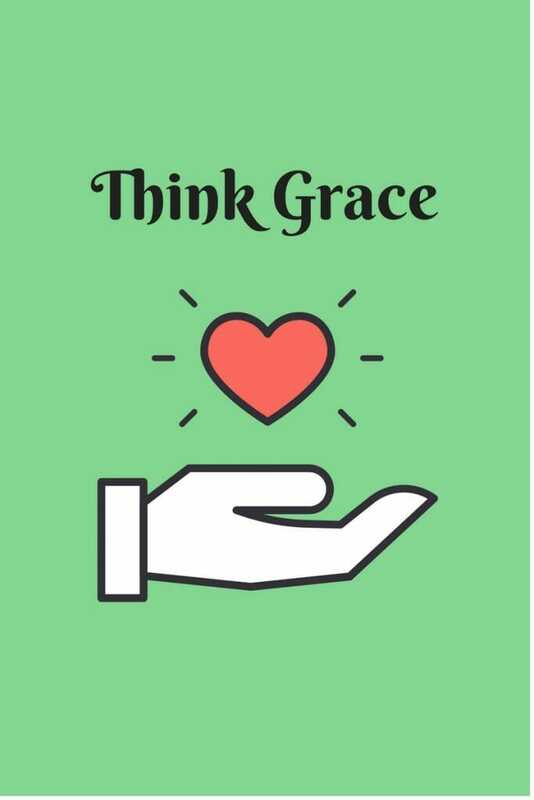 Think grace. Sacrifice your desires to meet their needs. Let them be wrong. Let them make mistakes. Use their weaknesses and shortcomings as opportunities to demonstrate the stuff that love and grace is made up of. Are you ready to walk out, to give up? Hang in there. You’re all right. God knows what is happening in your life and even if no one else is celebrating you, even if others are using you to drink themselves into oblivion, God knows, and He celebrates you. 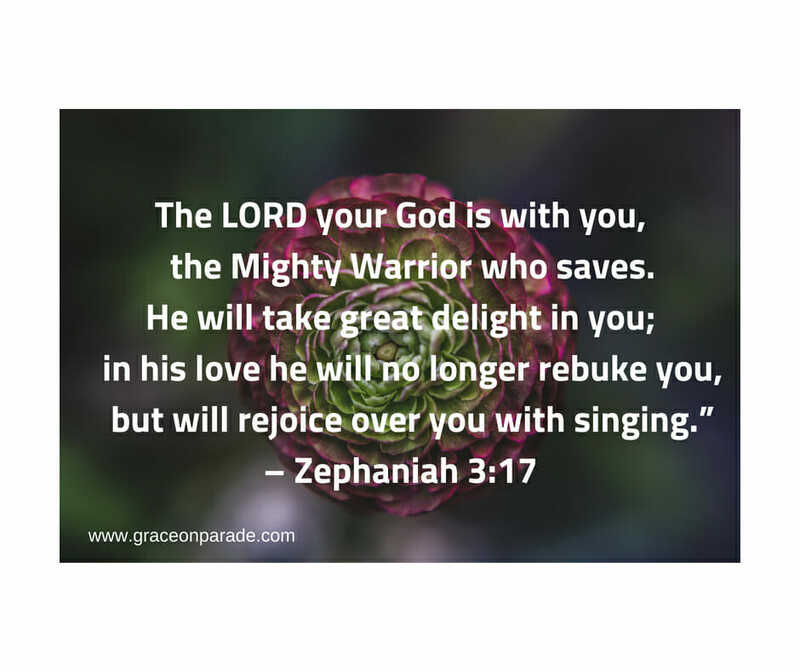 He loves you and He will give you the strength you need to keep following Him.